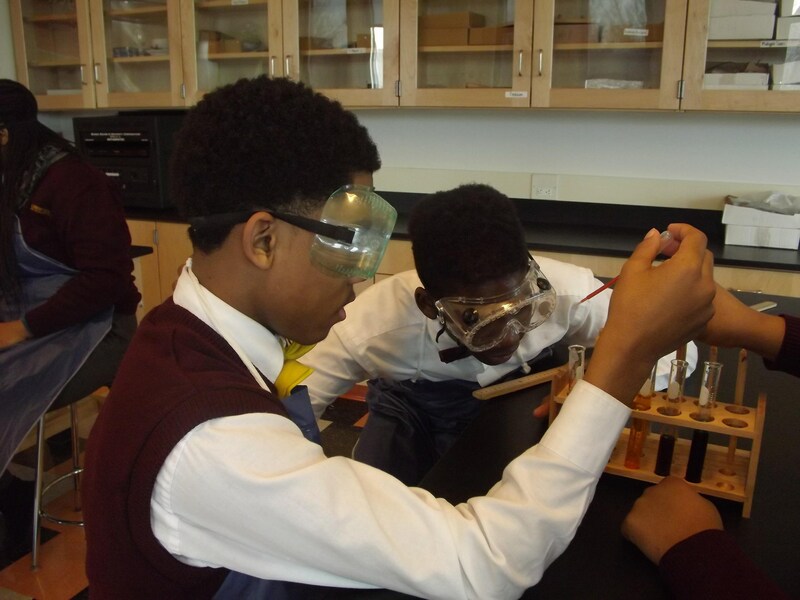 The CTK Science Department offers a full range of courses with the belief that a substantial experience in natural science is essential for every college-bound student. Students will learn critical skills of analysis and problem-solving that will set them up to be independent thinkers with a curiosity and compassion for the world around them. All students will take Physics, Biology, and Chemistry, with a balanced core of Lab Science. All courses provide students with the opportunities to develop lifelong skills in forming hypotheses, interpreting data and drawing informed, thoughtful conclusions. The purpose of this course is to introduce the concepts of the physical sciences: chemistry and physics. Students will study the laws of nature, including the areas of chemical bonding, energy, matter, motion and forces, heat and thermodynamics, and electricity and magnetism. Activities and laboratory experience will promote critical thinking and scientific inquiry, while enabling students to improve their organization, communication skills, and use of technology. This is a laboratory-based course that incorporates aspects of inquiry, cooperative learning and independent research to develop a deeper understanding of living systems. A diverse range of topics will be covered including chemical reactions and equations, cellular functions, biochemical pathways, Mendelian and molecular genetics, interdependence of organisms and evolution. This course is a college-ready, laboratory-based course that provides students with a deeper understanding of material properties and the changes that materials undergo. A diverse range of topics will be covered including properties of matter, the Periodic Table, atomic structure and bonding, and chemical reactions and equations. The purpose of this course is to further introduce concepts of physics and further an understanding of the scientific application of mathematics. The course will include laboratory experiences that promote analytical thinking, scientific inquiry, and the development of higher-level cognitive skills. Students will become very familiar with the scientific method, and utilize mathematical concepts to solve problems and interpret results of scientific investigations.